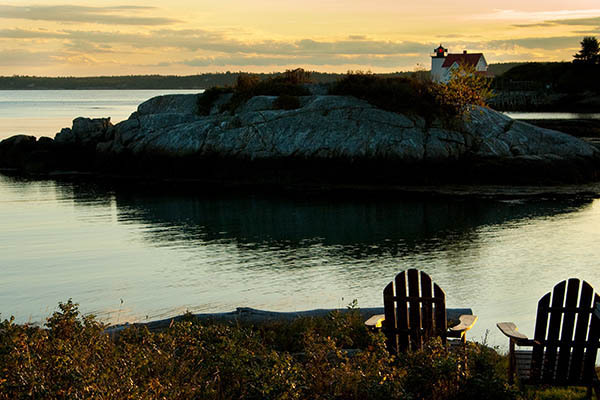 Sun setting by Hendricks Head light near Boothbay Harbor in Maine. Welcome to October, where in New England it’s all about beautiful foliage, spirits, and hauntings. In many cases of haunted occurrences in New England, and in other parts of the world, there are many truthful documented events that occurred before the sightings of paranormal activity. 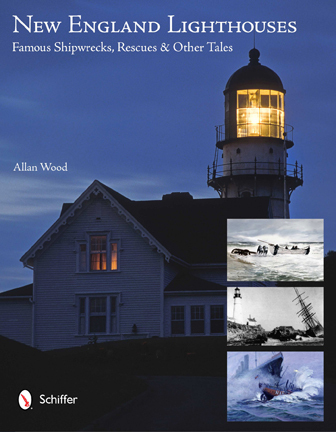 This lighthouse story is one of Maine’s unsolved mysteries. On a cold early December afternoon in 1931, a woman dressed in black, with the clothing and speech of someone in high class society, stopped in at Charlie Pinkham’s post office store and asked his wife for directions to an open sweep of ocean. Mrs. Pinkham stated, “You’re near Hendricks Head Lighthouse, but it might be dark before you get back, and it’s lonesome.” The woman seemed to know the area Mrs. Pinkham was describing and thanked her, and was observed by Mrs. Pinkham to be walking down the road towards Hendricks Head. It was late in the afternoon as the cold winds continued to blow and the sun began to hide behind thickening clouds. By dusk Keeper Knight of Hendricks Head Lighthouse arrived at the post office store, where Mrs. Pinkham proceeded to ask him if he had met the woman on the road. He insisted he hadn’t seen anyone. Worried for the woman’s safety as it was now approaching twilight in the evening, Keeper Knight headed back towards Hendricks Head Lighthouse keeping a close watch for her but found no one. The area around Hendricks Head Light is where the ghost of the “lady of the dusk” frequents. By the next day many of the residents in Southport had heard about the “woman in black.” They decided to start looking for her. In the sandy soil a short distance from the lighthouse, they found footsteps believed to be from a woman. Many feared she might have waded into the icy water. Suspecting something may have happened, Charlie Pinkham, who was also a volunteer firefighter in the town, gathered a search party where they found her body about a week later on Sunday, December 6, 1931. It was washed ashore on the ledge at the north end of the little beach near Hendricks Head Lighthouse. She had a leather belt fastened around her wrists with an electric flat iron, the purpose of which they had assumed was to weight her down in the water. Detectives later discovered her bag was left at the Fullerton hotel where she signed in as Louise Meade. Her description and her story ran in the papers throughout the nation. Finally, on January 8, 1932, after weeks of investigation, and with no one to identify her or make claim to the body, the town of Southport buried her in their old cemetery on the road to Hendricks Head. Over the years, many sightings of her ghost, or her shadowy figure, have been seen mostly at twilight near Hendricks Head Lighthouse, and so she has become known as the “Lady of the Dusk.” There have also been sightings over the years of a black “limousine,” driving down the Hendricks Head road and parking near the spot where her body washed ashore. Some say it always comes during the first week of December that marks the anniversary of the death of this woman known only as Louise Meade. In October, some of the prettiest coastal foliage is up around the Boothbay Harbor region where Hendricks Head Light is located, among other lighthouses. 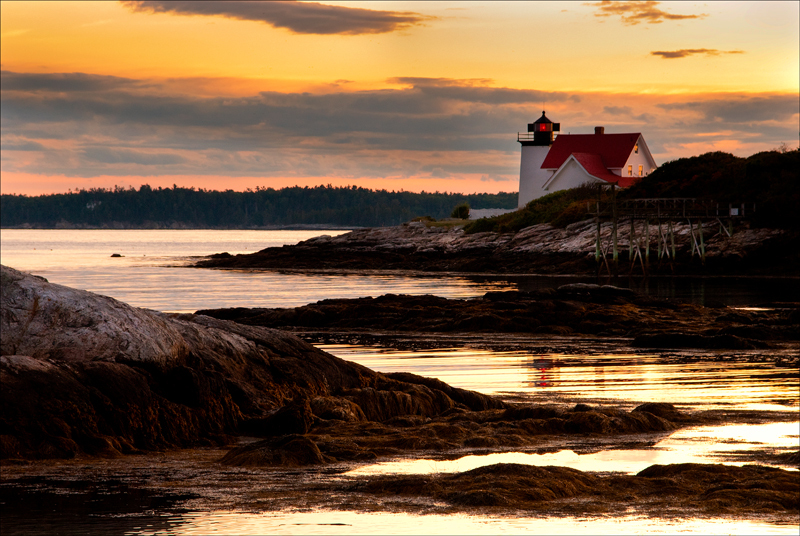 Take a boat cruise from Boothbay Harbor up along the Kennebec River to photograph some of these lighthouses with New England’s autumn foliage. Hendricks Head Lighthouse can easily be viewed for good photos as you park your car on the side street by a small beach just before the lighthouse near the Southport grocery store off Route 27. The beach is open to the public if you can find adequate parking there. There is a little hiking trail through the woods on the right side just before you come to the small beach. The Hendricks Hill museum near the Southport post office provides lots of history in the area.